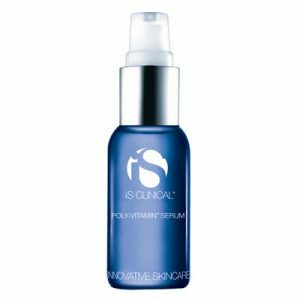 Bioglycolic Oily Skin Cleansing Gel is a deep follicular cleansing agent that provides extra benefits for extremely oily/problem-prone skin. 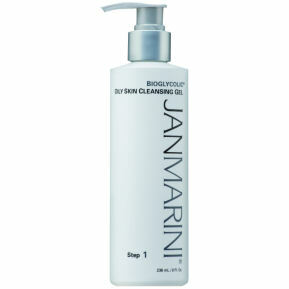 Jan Marini Bioglycolic Oily Skin Cleansing Gel is a cleanser that works great on oily and skin prone to problem. Bioglycolic Oily Skin Cleansing Gel is designed for individuals that suffer from really oily skin on their cheeks and T-zone, and have to wipe their faces often. The cleansing gel formula lathers up nicely and leaves the skin feeling really clean. Users will notice a big change in their skin’s appearance. The pores look more refined and skin appears smoother. The key ingredient is glycolic acid, which is a proven product to treat oily/problem-prone skin. It doesn’t leave a residue. Skin is left soft and clean. Bioglycolic Oily Skin Cleansing Gel is a deep follicular cleansing agent that provides extra benefits for extremely oily/problem-prone skin. Our gel-based formula lathers well and leaves skin feeling super clean and soft. With continued use, your skin will appear less oily with a smoother, more refined texture. Cosmedic Skin Clinic are authorised stockists of the Jan Marini skin care range and they are available to buy online or direct from our award winning clinic. Jan Marini, founder and CEO of JMSR, has devoted more than three decades to research and development of the cutting-edge technologies used in Jan Marini products. Over the years, JMSR has established a portfolio of proprietary formulas that reflect its ongoing commitment to be the pre-eminent developer of skin care products that produce measurable results and benefits. Jan Marini has also formed associations with some of the world’s leading physicians and research scientists. As a respected international skin care authority, Jan Marini continues to lead JMSR, and the industry at large, to new heights. Use on dry skin an amount about the size of a ten pence piece over the face and neck area. Massage gently, water may be added at this point. Using tepid water on a clean, wet facecloth remove all traces of product from face and neck. Rinse face and neck well, 15-20 times with clean, tepid water. Blot dry. Use morning and evening. Do not use as an eye make up remover. If you feel a slight tingling sensation after use, this is perfectly fine.